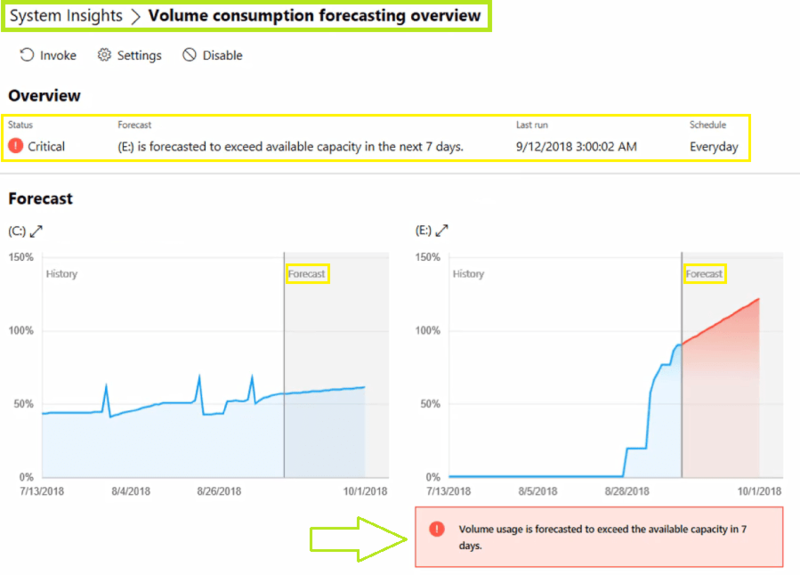 In Windows Server 2019 has been included a new feature called System Insights which it introduces natively in the operating system predictive capabilities. 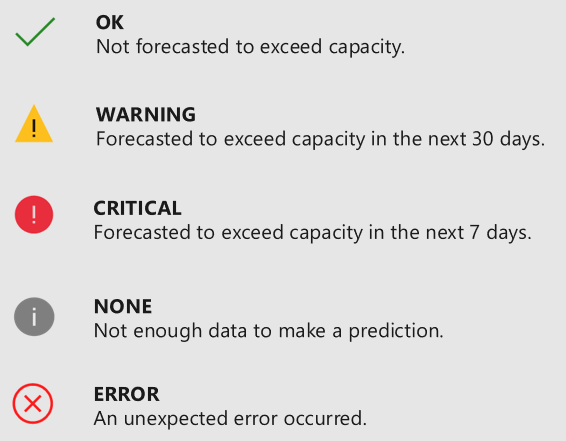 Thanks to an accurate analysis that occurs locally to the system, based on a machine learning model, is able to provide, with a high level of reliability, forecasts of problematic conditions that may occur in the Windows Server environment. This article shows how to enable this feature and the main features of the solution. 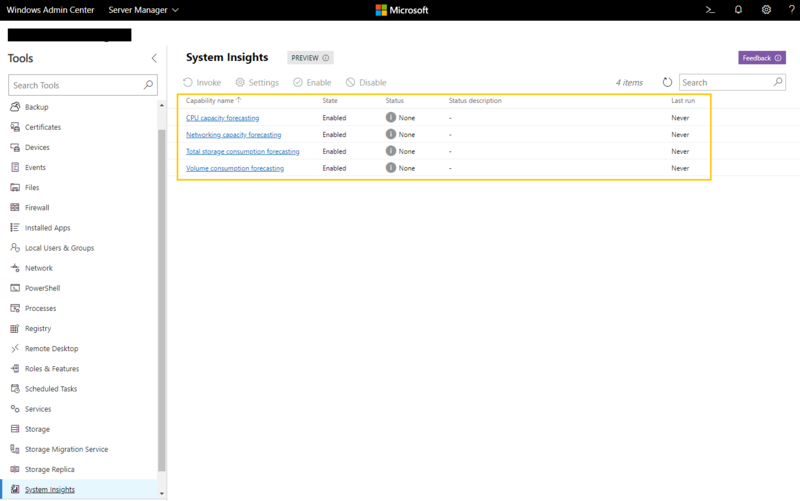 Adding the feature System-Insights by using Server Manager. 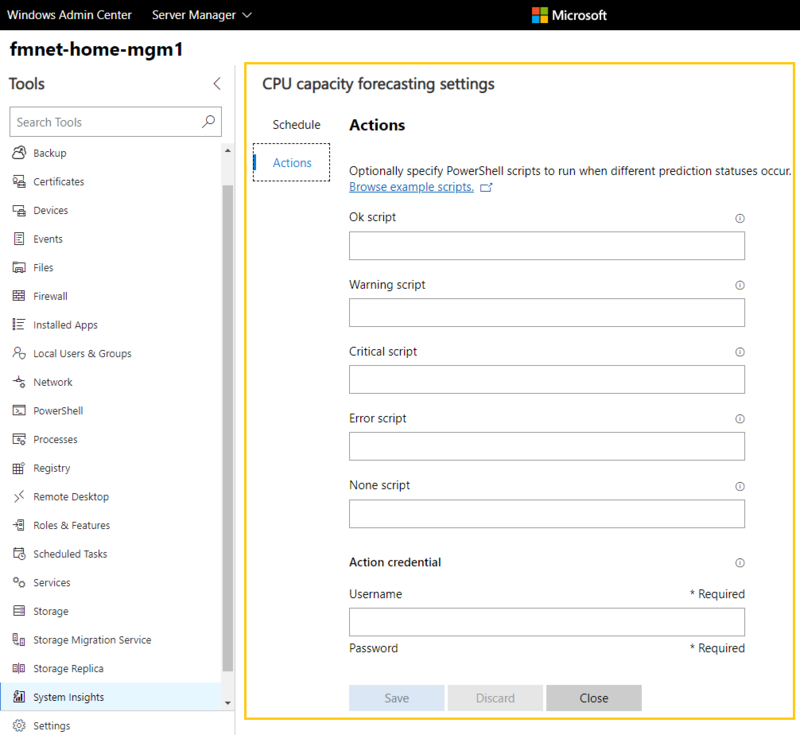 After installation, you can proceed by configuring the desired settings for forecasts of the CPU capacity, the use of networking and storage consumption. System Insights is able to provide the results of the analyses carried out and their predictions after some hours of activation. In addition, you can configure scripts that are executed when returning a specific status code, useful to take corrective actions automatically. Each type of capacity can also be invoked manually in a forced manner via the button Invoke. 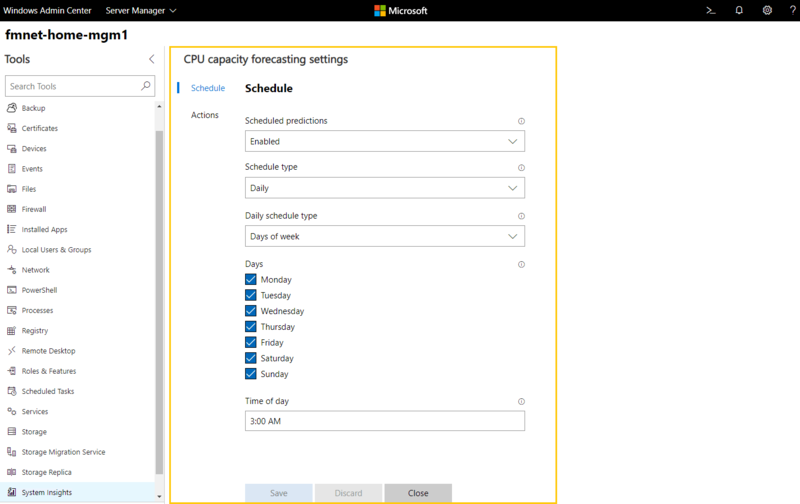 By selecting the different available forecasts, you can view the detailed information. System Insights is able to provide this predictive information based on machine-learning models, analyzing different elements such as performance counters and events. All data are collected and analyzed locally to the machine, without iterations with elements in the cloud and with a non-significant resource consumption. Using PowerShell, you have the ability to aggregate the results of System Insights from multiple virtual machines. In that regard, it shows a sample script to aggregate the results of multiple systems. 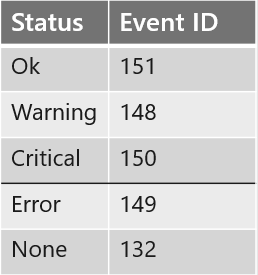 In this way you can easily generate the Rule to be notified based on specific queries. 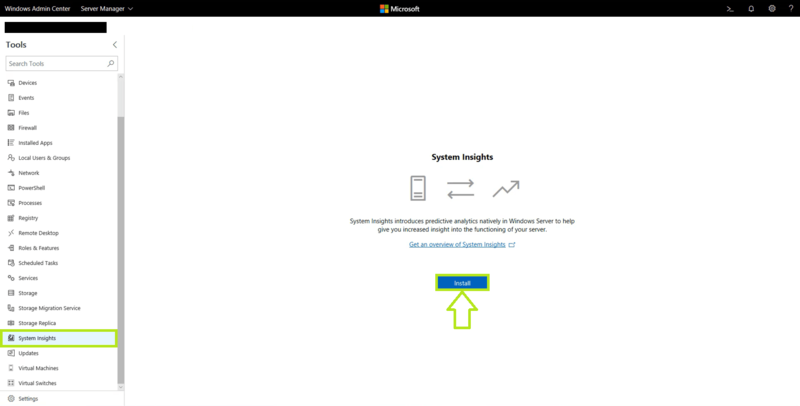 For system administrators, the instrument System Insight is useful and easy to use, enabling you to predict several problematic conditions that may occur on your Windows Server, all in a fully integrated manner in the operating system. With this feature you can achieve greater continuity of service and a reduction of the time required to clear error conditions. 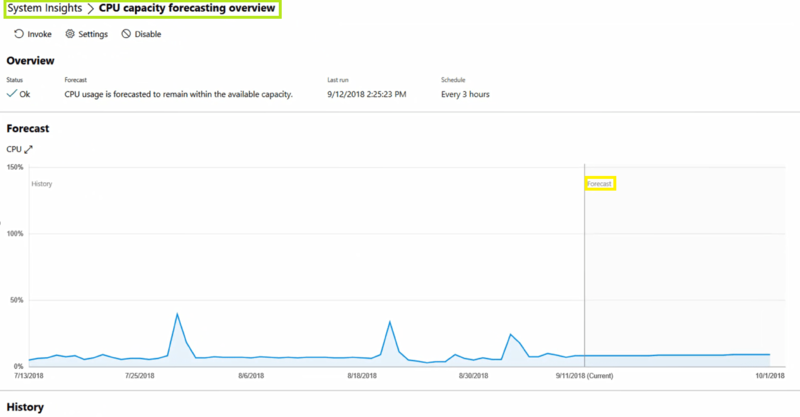 This entry was posted in Log Analytics, Windows Server 2019 on February 18, 2019 by Francesco Molfese.